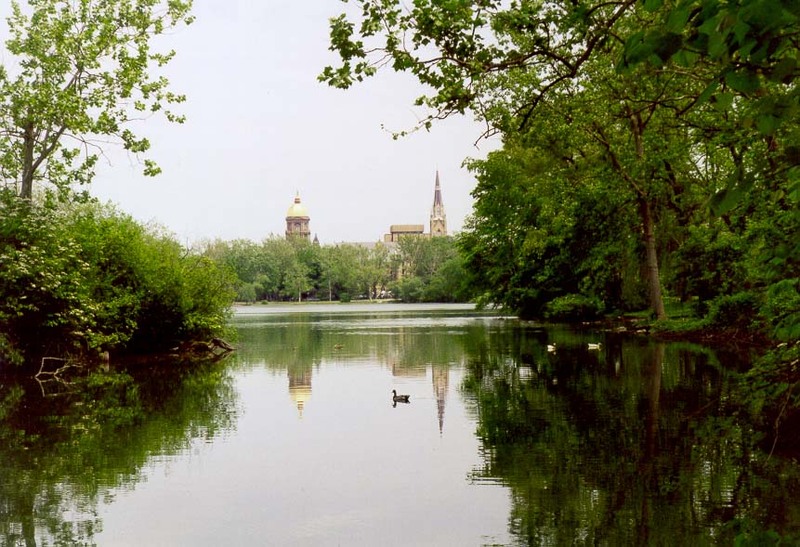 Ducks in Saint Mary's Lake reflecting Golden Dome and Basilica of the Sacred Heart at the University of Notre Dame. South Bend, Indiana, May 21, 1999. Eende in Saint Mary's Lake weerspieël Golden Dome en Basilika van die Sacred Heart aan die Universiteit van Notre Dame. South Bend, Indiana, 21 Mei 1999. Rosat në Liqenin e Shën Marisë duke reflektuar Artë Dome dhe Bazilika e Zemrës së shenjtë në Universitetin e Notre Dame. South Bend, Indiana, 21 maj 1999. البط في بحيرة سانت ماري يعكس الذهبي وقبة كاتدرائية القلب المقدس في جامعة نوتردام. ساوث بند ، إنديانا ، 21 مايو 1999. Դաքս Սուրբ Մարիամ's լճի արտացոլող Ոսկե գմբեթ եւ բազիլիկայի / վերնամասը, Սուրբ Սրտի համալսարանում Notre հասակն առած կին. Հարավային ծունկ, Ինդիանա, Մայիս 21, 1999 թ.
Notre Dame Universiteti Golden Dome və Müqəddəs kalbin Basilica əks etdirən Saint Mary Gölü Ducks. Cənubi, İndiana, 21 may 1999 Simit. 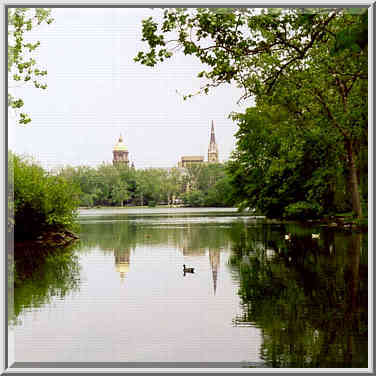 Saint Mary's Lake en Ducks Golden Dome eta Jesusen Bihotzaren Basilika islatzen Notre Dame Unibertsitatean. Hego Bend, Indiana, maiatzaren 21a, 1999. Качкі на возеры Сэнт-Мэры, які адлюстроўвае залаты купал і базылікі Святога Сэрца ў Універсітэце Нотр-Дам. Саўт-бэнд, штат Індыяна, 21 мая 1999 года. সেন্ট মেরি র লেক গোল্ডেন ডেম বিশ্ববিদ্যালয় এ ভক্তিমূলক এর অট্টালিকা এবং রাজপ্রাসাদ অনুধ্যায়ী মধ্যে নকড়া. দক্ষিণ বাঁক, ইন্ডিয়ানা, মে 21, 1999. Патиците в езерото Сейнт Мери, отразяващи Golden Dome и базиликата на Свещеното сърце в университета Нотр Дам. Саут Бенд, щата Индиана, 21 май, 1999. Ànecs al llac de Santa Maria reflecteix la Cúpula Daurada i la Basílica del Sagrat Cor de la Universitat de Notre Dame. South Bend, Indiana, 21 de maig de 1999. Patke u Saint Mary's Lake odražava Zlatna Dome i bazilici Presvetog Srca Sveučilišta Notre Dame. South Bendu, Indiana, 21. svibnja 1999. Kachny na jezeře Saint Marie odráží Golden Dome a bazilika Nejsvětějšího srdce na univerzitě v Notre Dame. 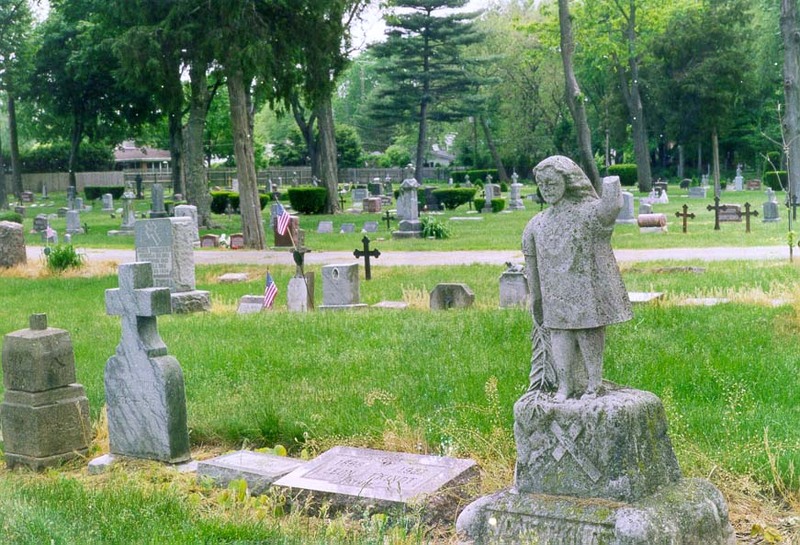 South Bend, Indiana, 21. května, 1999. Ænder i Saint Mary's Lake afspejler Gyldne Moske og Basilica of the Sacred Heart ved University of Notre Dame. South Bend, Indiana, 21 maj 1999. Eenden in Saint Mary's Lake reflecterende gouden koepel en de basiliek van het Heilig Hart aan de Universiteit van Notre Dame. South Bend, Indiana, 21 mei 1999. Ducks Saint Mary's Lake peegeldades Golden Dome ja Basilica of Sacred Heart at University of Notre Dame. South Bend, Indiana, 21. mai 1999. Pantalong yari sa kambas sa Saint Mary's Lake sumasalamin Golden Dome at Basilica ng Sacred Heart sa Unibersidad ng Notre Dame. South Bend, Indiana, May 21, 1999. Ducks Saint Mary's Lake heijastaa Golden Dome ja basilika Sacred Heart at Notre Damen yliopisto. 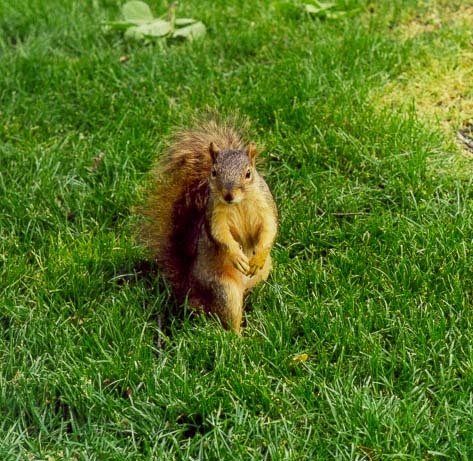 South Bend, Indiana, Toukokuu 21, 1999. Canards dans le lac Saint Mary's Golden Dome reflétant et de la Basilique du Sacré-Cœur à l'Université de Notre Dame. South Bend, Indiana, le 21 mai 1999. Patos no Lago Saint Mary's era Golden Dome e da Basílica do Sagrado Corazón da Universidade de Notre Dame. South Bend, Indiana, 21 de maio de 1999.
თანაბარ პირობებში Saint Mary's Lake ასახავს ოქროს გუმბათი და Basilica of Sacred Heart at University of Notre Dame. სამხრეთ Bend, Indiana, 21 მაისი, 1999. Ducks in Saint Mary's Lake reflektierende goldene Kuppel und die Basilika des Heiligen Herzens an der University of Notre Dame. South Bend, Indiana, 21. Mai 1999. સેન્ટ મેરી માતાનો ગોલ્ડન અને નોટ્રે ડેમ ને યુનિવર્સિટી ઓફ ખાતે શુદ્ધ હૃદયમાંથી ડોમ બેસિલિકા પ્રતિબિંબ લેક ડક્સ. સાઉથ બેન્ડ, ઇન્ડિયાના, 21 મે, 1999. Πάπιες στη Λίμνη Αγίας Μαρίας αντικατοπτρίζοντας Golden Dome και η Βασιλική της Ιερής Καρδιάς στο Πανεπιστήμιο της Notre Dame. Ιντιάνα, 21 Μαΐου, 1999. Kanna nan Lake Saint Mary's reflechi Golden Dome ak bazilik nan Sakre kè a nan University of Notre Dame. South Bend, Indiana, 21 me, 1999. ברווזים באגם סנט מרי המשקף הזהב כיפת ואת בזיליקת הלב הקדוש באוניברסיטת נוטרדאם. בסאות בנד, אינדיאנה, 21 במאי 1999. सेंट मैरी झील में बतख नोट्रे डेम विश्वविद्यालय में स्वर्ण गुंबद और सेक्रेड हार्ट की Basilica को दर्शाती है. दक्षिण इंडियाना झुको,, 21 मई, 1999. Kacsák Saint Mary's tó tükröző Golden dóm bazilika a Szent Szív, a University of Notre Dame. South Bend, Indiana, május 21, 1999. Endur í Saint Mary's Lake endurspeglar Golden Dome og Basilica of Sacred Heart við Háskólann í Notre Dame. South Bend, Indiana, maí 21, 1999. 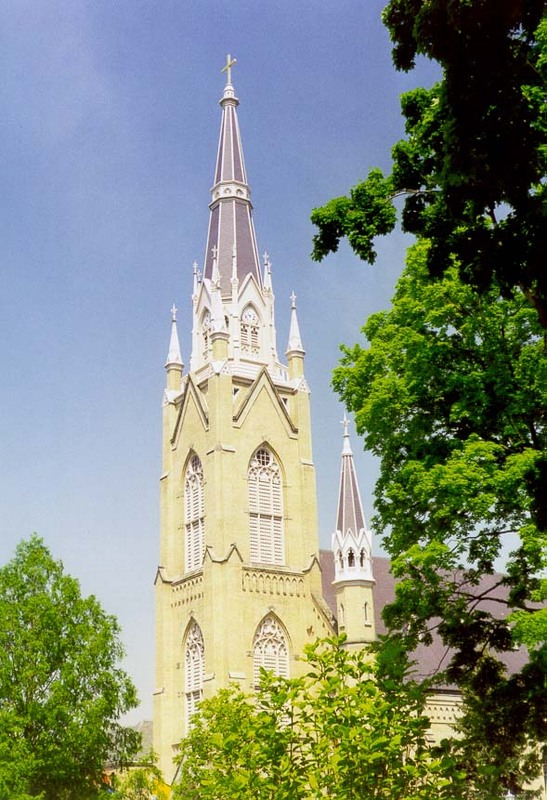 Itik di Saint Mary's Lake mencerminkan Golden Dome dan Basilika Hati Kudus di University of Notre Dame. South Bend, Indiana, 21 Mei 1999. Lachain i Loch Naomh Muire léiríonn Órga Dome agus Basilica an Chroí Ró-Naofa in Ollscoil Notre Dame. South Bend, Indiana, 21 Bealtaine, 1999. Anatre nel lago di Saint Mary's che riflette Golden Dome e la Basilica del Sacro Cuore dell'Università di Notre Dame. South Bend, Indiana, 21 maggio 1999. ನೊಟ್ರೆ ಡೇಮ್ ವಿಶ್ವವಿದ್ಯಾಲಯದಲ್ಲಿ ಸೇಕ್ರೆಡ್ ಹಾರ್ಟ್ ಆಫ್ ಗೋಲ್ಡನ್ ಡೋಮ್ ಮತ್ತು ಬೆಸಿಲಿಕಾ ಪ್ರತಿಬಿಂಬಿಸುವ ಸೇಂಟ್ ಮೇರಿ ತಂದೆಯ ಲೇಕ್ ರಲ್ಲಿ ಡಕ್ಸ್. ದಕ್ಷಿಣ ಬೆಂಡ್, ಇಂಡಿಯಾನಾ, ಮೇ 21, 1999. 노틀담 대학의 황금 돔과 성심의 대성당을 반영 세인트 메리의 호수에 오리. 남쪽은 인디애나 5 월 21 1999 잡아봐. 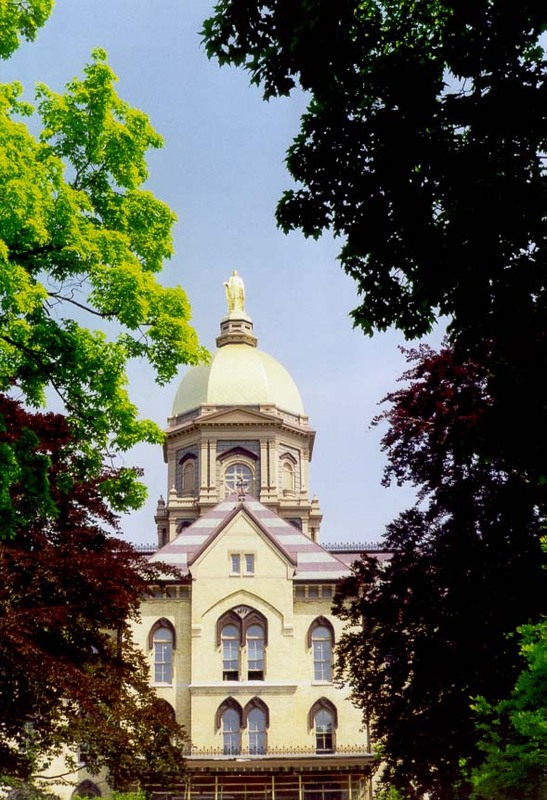 Saint anates in Lake Mary's Golden Dome reflectens et Basilica at Sacred Heart University of Notre Dame. South flecte, Indiana, May XXI, MCMXCIX. Pīļu Saint Mary's Lake atspoguļo Zelta Dome un Sacred Heart Basilica pie Notre Dame universitātē. South Bend, Indiana, Maijs 21, 1999. Antys Saint Mary's ežero atspindinti Auksinis Mintis ir Bazilikos Sacred Heart ne Notre Dame universitete. South Bend, Indiana, gegužės 21, 1999. Патките во езерото Света Марија е одраз на Златната купола и Базилика на Исусовото Срце на универзитетот во Нотр Дам. Американски Држави, Индијана, 21 мај 1999 година. Papri fil-Lag Saint Mary's jirrifletti Golden Dome u Bażilika tal-Qalb Imqaddsa fl-Università ta 'Notre Dame. 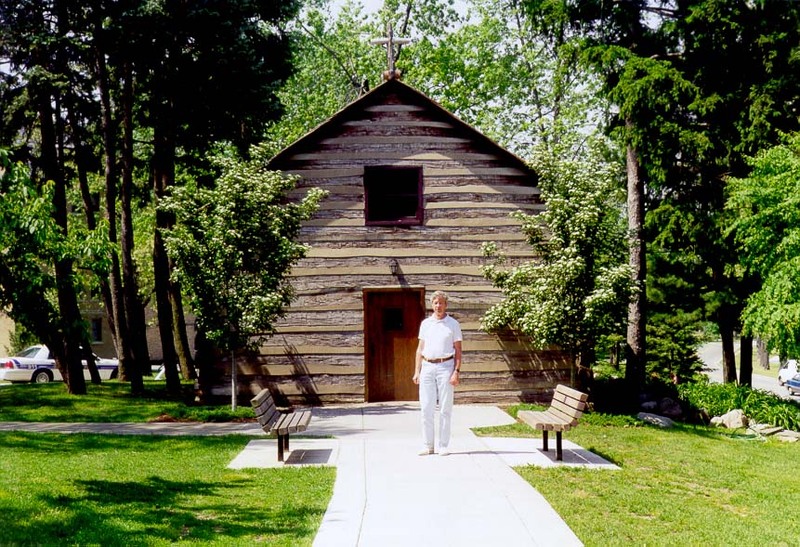 Nofsinhar tal-liwja, Indiana, 21 Mej 1999. Ducks i St. Mary's Lake reflekterer Golden Dome og Basilica av Sacred Heart ved University of Notre Dame. South Bend, Indiana den 21 Mai 1999. اردک در دریاچه سنت ماری انعکاس طلایی گنبد و کلیسای «قلب مقدس» در دانشگاه نوتردام. جنوبی خم ، ایندیانا ، 21 ، 1999. Kaczki w Saint Mary's Lake odzwierciedla złotą kopułą i Bazylika Najświętszego Serca Pana Jezusa na Uniwersytecie Notre Dame. South Bend, Indiana, 21 maja 1999 roku. Patos no Lago Saint Mary's refletindo Golden Dome e da Basílica do Sagrado Coração da Universidade de Notre Dame. South Bend, Indiana, 21 de maio de 1999. Raţe în Lacul Saint Mary's reflectând Golden Dome şi Basilica Inimii Sacre de la Universitatea Notre Dame. South Bend, Indiana, 21 mai, 1999. Утки на озере Сент-Мэри, отражающего золотой купол и базилики Святого Сердца в Университете Нотр-Дам. Саут-Бенд, штат Индиана, 21 мая 1999 года. Патке у Сент Мери језеру одражава Златна Купола и базилике Светог Срца на Универзитету Нотр Дам. Соутх Бенд, Индиана, 21. мај 1999. Kačky na jazere Saint Marie odráža Golden Dome a bazilika Najsvätejšieho srdca na univerzite v Notre Dame. South Bend, Indiana, 21. mája, 1999. Račke v Saint Mary's Lake odražajo Golden Dome in Bazilika Srca Jezusovega na univerzi Notre Dame. South Bend, Indiana, 21. maja, 1999. Patos en el Lago de Santa María refleja la Cúpula Dorada y la Basílica del Sagrado Corazón de la Universidad de Notre Dame. South Bend, Indiana, 21 de mayo de 1999. Bata katika Ziwa Saint Mary's kuonyesha Golden Dome na Basilika ya Moyo Mtakatifu katika Chuo Kikuu cha Notre Dame. Kusini Bend, Indiana, Mei 21, 1999. Ankor i Saint Mary's Lake reflekterande gyllene kupolen och basilikan på Sacred Heart på University of Notre Dame. South Bend, Indiana, 21 maj, 1999. நோட்ரே பல்கலைக்கழகத்தில் சேக்ரட் ஹார்ட் கோல்டன் டோம் மற்றும் பசிலிகாவின் பிரதிபலிக்கும் செயிண்ட் மேரி தான் ஏரியில் உள்ள வாத்துகள். தென் பெண்ட், இண்டியானா, மே 21, 1999. యూనివర్శిటీ ఆఫ్ నోట్రీ వద్ద పవిత్ర హృదయం యొక్క గోల్డెన్ ముఖద్దస్ మరియు బసిలికా ప్రతిబింబిస్తుంది సెయింట్ మేరీ లేక్ లో బాతులు. సౌత్ బెండ్, ఇండియానా, మే 21, 1999. Notre Dame Üniversitesi'nde Altın Kubbe ve Sacred Heart Bazilikası'nın yansıtan Saint Mary's Lake Ducks. Güney, Indiana, May 21, 1999 bükün. Качки на озері Сент-Мері, що відображає золотий купол і базиліки Святого Серця в Університеті Нотр-Дам. Саут-Бенд, штат Індіана, 21 травня 1999 року. سینٹ مریم جھیل میں بتھ نوٹری کے یونیورسٹی میں سنہری گنبد اور مسجد حرام قلب Basilica ظاہر کرتا ہے. جنوبی انڈیانا ، جھکو ، ، 21 مئی 1999. Vịt ở hồ Saint Mary's phản ánh Golden Dome và Vương Cung Thánh Đường Thánh Tâm tại Đại học Notre Dame. South Bend, Indiana, ngày 21 tháng 5 năm 1999. Hwyaid yn St Mary's Lake adlewyrchu Aur Dome a Basilica y Galon Sanctaidd ym Mhrifysgol Notre Dame. South Bend, Indiana, Mai 21, 1999. דאַקס אין סיינט מרים ס לייק ריפלעקטינג גאָלדען דאָמע און באַסיליקאַ פון די סאַקרעד הארץ אין דער אוניווערסיטעט פון נאָטרע דאַמע. דרום בענד, ינדיאַנאַ, מאי 21, 1999.